How do scientists and engineers gather information about places in the solar system that are difficult to reach? Youth learn the answer to that question and more! In this unit, youth design remote-sensing devices that can help scientists learn about a newly discovered moon. 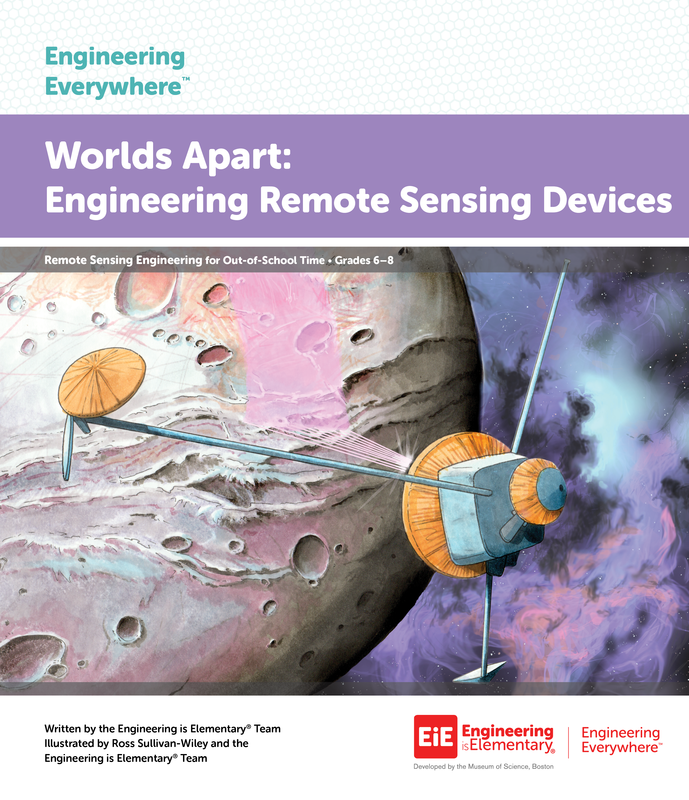 Every Engineering Everywhere unit begins with a Special report video, which sets the context for the engineering design challenge and explores important relevant issues like food scarcity, prosthetics, and disease control. In our newest Engineering Everywhere Special Report, youth meet Tracy Drain, a flight systems engineering, and Ingrid Daubar, a research scientist. You can also read a guest blog by EiE curriculum designer Kate Sokol about her trip to NASA’s Jet Propulsion Laboratory! Engineering Everywhere inspires learners in grades 6-8 to shape the world around them. Our twelve hands-on units were tested in after school, summer camp, and out-of-school time settings, and they are proven to engage learners in innovative problem solving. As learners work through our design challenges, they’ll sharpen 21st century skills like critical thinking, teamwork, and communication, preparing them for success in school and in life. Learn more about .